P is for Placenta Encapsulation: My Personal Experiment and Experience (Part 1). 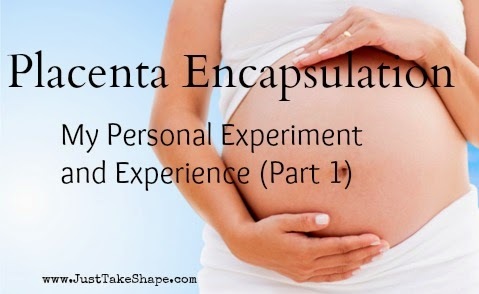 Yes, you read the title right - Placenta Encapsulation. No, this isn't some new type of workout program. Yes, it does have to do with eating, or in this instance, encapsulating the placenta. After the birth of my two daughters (who are now 17 and 4 years old), I experienced a lot of the typical after birth issues that many other moms experience, such as moodiness and being overly tired. However, it wasn't until my 4 year old was born that I experienced Postpartum Depression (PPD), which not only was in part of the lack of sleep, but the anxiety and demand (which I placed on myself) of not having a good milk supply. The PPD and low milk supply, which both could have possibly been attributed to my hypothyroidism, was not a good combination for me. With my recent pregnancy, I started to hear more and more about women choosing to eat their own placenta to help with PPD, milk supply, and energy levels. Needless to say, I was intrigued, but was in no way too thrilled with the thought of eating my own placenta. 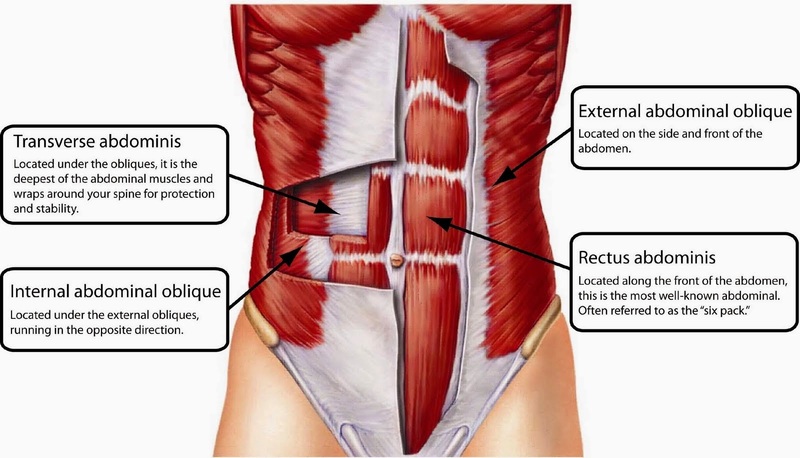 The oblique muscles are made up of four muscles: transverse, internal abdominal, external abdominal and rectus abdominis. These four muscles are important for not only helping to achieve a developed abdominal area, but also help in balance and stabilizing the back muscles too. Without working out your abdominal muscles, you are more prone to having back problems, as the abdominal muscles help to support the back. 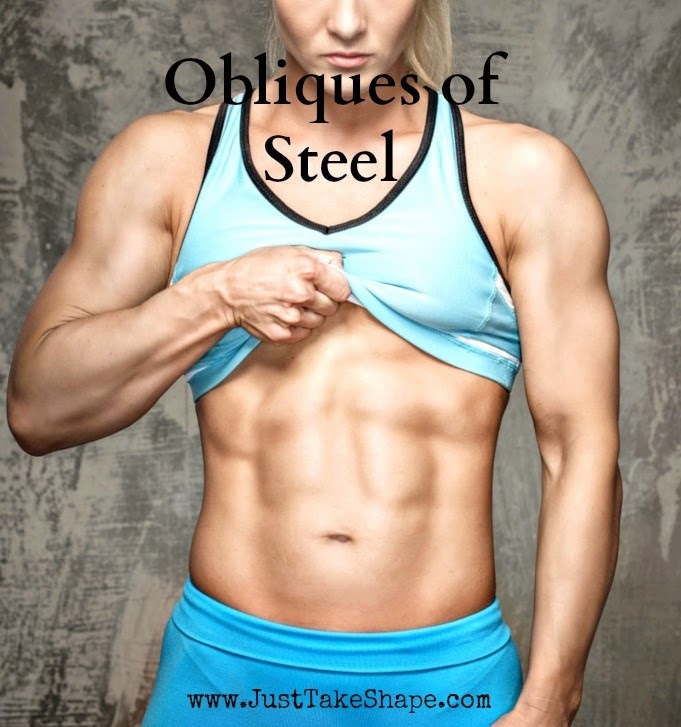 Oblique muscle exercises can easily be done at home - no gym necessary. The crunch with a twist is effective in not only working the obliques but the rest of the abdominal muscles. If you are a beginner, you will want to focus on form, keeping your back straight and pulling with your abdominal muscles, not your neck muscles. Once you master the form, you can then add weights - either a medicine ball or dumbbell. Lying oblique twist not only is effective in working the obliques (thus the name), but also in working the entire abdominal muscle group due to having to engage all of the abdominal muscles to stabilize the core and lower body so there is no arching of the back and keeping control of the legs when moving side to side. When performing this exercise, keeping your form is crucial so that the lower back does not arch and the legs are kept at a 90 degree angle. Not all abdominal muscle exercises need to be performed lying down. This exercise is a standing variation of the side crunch that is performed on the floor. When executing this exercise, you will want to concentrate on the "crunch" portion when you raise you knee up and side bend until your elbow touches your knee (see "B"). Beginners can perform this exercise without weights and then once this exercise is mastered, you can add in weights or even workout bands. When added oblique (or any abdominal exercises) to your workout routine, you can begin doing them at least two times per week with at least one to two days between workouts. Once you advance, you can do them three to four times per week with at least one day of rest in between workouts. In terms of sets and reps, beginners should aim for 10 reps on each side for one set, working your way up to 3 sets with 12 to 15 reps on each side. Even though there are more than these three oblique exercises, what are your favorite oblique/abdominal exercises? Nutella used to be a morning, noon and night and snack time staple in our household. It was eaten with bread, apples, strawberries and even by the spoonful. That was until our eating habits were revised so that they were healthier, less sugar and were not processed. 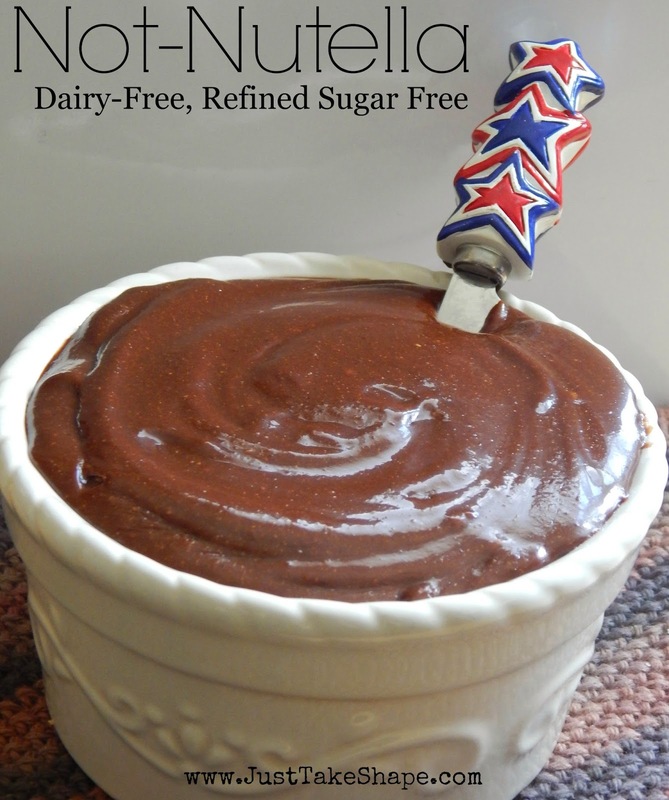 Until recently, while scouring the many, many, recipes on Pinterest did I come across one that was for homemade Nutella. So I thought I would give it a try. The one downside, was that it was made with refined white sugar and milk - something that my daughter has to steer clear of due to her eczema. So after much begging from her for her beloved Nutella, I set out to create one that wasn't made with refined white sugar or milk. After a few tries and some frustration, I finally got it and one that she actually liked (which was a huge bonus). CIZE - Are YOU Ready to Dance? The END of boring Exercise is coming July 20, 2015!!! Are you scared to death of dance-based fitness classes? Afraid of looking like Elaine from Seinfeld? Don’t want other people watching you attempt the latest hip-hop moves in front of a mirror? OR are you are a lover of dance and dance based classes? Perhaps need a change from boring “dreadmill” steady-state cardio – whatever the case may be, CIZE by Shaun T is going to teach you how to dance in the comfort of your own home!! M is for Mock Lara Bars. 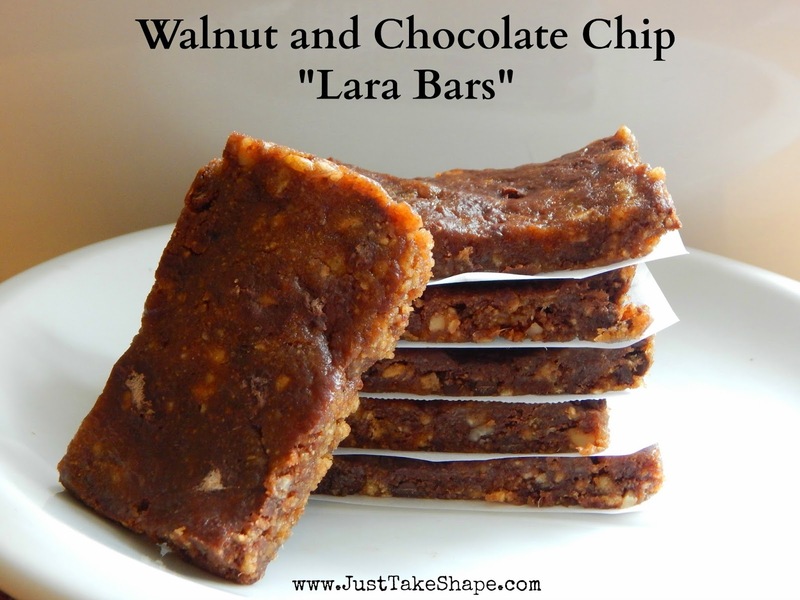 Lara Bars are a healthier alternative for snacks that are portable, found in most grocery stores, not to mention relatively inexpensive. But why buy them when you can make them yourself, not to mention add in whatever ingredients you want. Soak dates in water for at least 8 hours. Drain water and cut open to remove pits (if needed). Line 8 x 8 inch pan with parchment paper. Place dates in food processor and pulse until finely chopped and pureed. In small bowl, add in pureed dates, rice cereal, flaxseed, ground cinnamon and mix until well blended. In small saucepan, mix almond butter and honey over low to medium heat until blended. Remove from heat and add in vanilla extract. Mix the almond mixture with the date puree mixture until well combined. Stir in chocolate chips. Spread the mixture out in the 8 x 8 pan and press firmly to pack the mixture into the pan. Place the pan in the refrigerator for at least 30 minutes to 1 hour. Cut into bars and either wrap individually or place squares of parchment paper between each bar. Keep the bars in the refrigerator until ready to be eaten. Chopped walnuts and chocolate chips may be substituted for any other type of nut and or sweetened food, such as white chocolate chips, shredded coconut. Almond butter may be substituted for peanut butter or sunbutter. What is your favorite Lara Bar flavor? K is for Kale Chips. Kale is a very versatile, healthy and nutritious addition to any salad or even soup to increase your intake of green, leafy vegetables. Like most green, leafy vegetables, it is low in calories, yet kale is high in Vitamin A and Vitamin C.
But let's just say, for instance, that you are trying to eat healthy and are craving something salty and crunchy. Your first thought would be to grab a handful of potato chips to satisfy those cravings. But wait, did you know that you can use kale to make delicious kale chips that will not only satisfy those cravings, but also offer a healthier, less processed alternative. Remove the leaves from the stems of the kale with either a knife or kitchen shears. Wash the leaves and dry thoroughly using paper towels or a salad spinner. Drizzle the leaves with olive oil. Use your hands to evenly coat the kale leaves. Sprinkle celtic salt over the leaves. Lay the leaves on the parchment paper lined baking sheet evening in a single layer. Bake for 10-15 minutes or until leaves are brown, not burnt. Let cool and enjoy (and try not to eat all of them). Sprinkle finely granted parmesan cheese on the kale leaves before baking for a nice cheesy taste. Sprinkle nutritional yeast on the kale leaves before baking for a cheesy taste if you are dairy free/vegan. Experiment with different spices for different flavors. For example, red pepper flakes for a spicy taste, etc. Now that you know how to make kale chips, I do urge you to make more than one batch, especially if you have kids or other grown up kids (a/k/a other adults) in the house as one batch will last all of 2 minutes before you even have a chance to eat any. 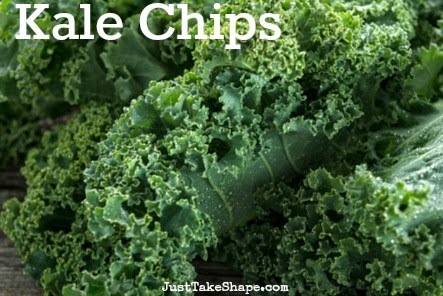 What flavor of kale chips are you going to try? Which flavor that you tried was a "no go?" 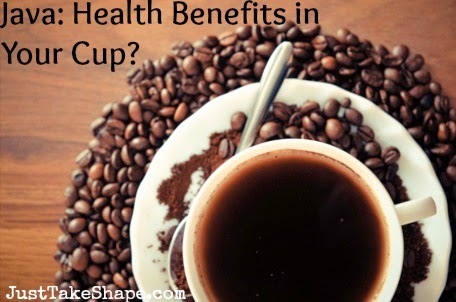 Java: Health Benefits in Your Cup? Coffee, for centuries, has been the item of trade, money, and most recently, keeping you awake. Java, also known as coffee, is referred to the bean that is grown on Java, an island in Indonesia, and is touted for its rich, sweet flavor. But did you know that drinking that sweet pick me up in the morning (or during the day) can have some health benefits to it as well? I is for Inca Berries. 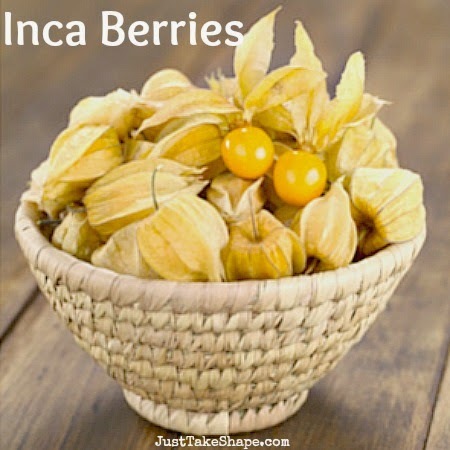 Inca berries, also known as cape gooseberries, ground cherries or husk cherries, were originally grown in South America and are now known for their powerhouse of nutrition, making them a great superfood to add to your nutritional regime. What makes Inca berries a superfood is their high Vitamin C, Vitamin A, Vitamins B1, B2, B6 and B12, iron, niacin and phosphorus content. They are also high in protein, which makes it a great vegan protein source. Inca berries have a higher fiber content than that found in apricots and and even prunes. Moreover, they are a great source of anti-inflammatory and antioxidant properties. Inca berries are great for smoothies, in trail mixes or as is. Due to their low calorie content, yet high fiber content, they are perfect for those wanting to get their daily dose of nutrients without the increase in calories consumed. Inca berries are gaining more popularity in the health food world. You can find them at most health food stores or even online, such as Amazon. 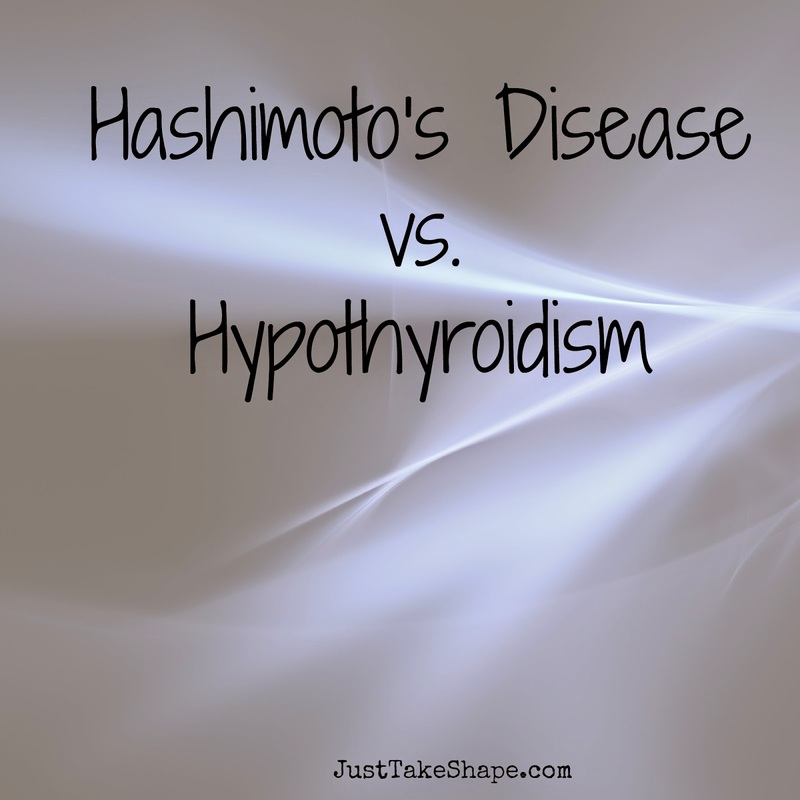 H is for Hashimoto's Disease and Hypothyroidism. If you have read any of my first posts on this blog, you may have seen a common theme - thyroid issues, specifically Hashimoto's and Hypothyroidism. Both are life changing and keep you guessing as to what to do next, what doctor to see next and what tests should be run. Even though both deal with the thyroid itself, there are similarities and differences between the two. Hypothyroidism basically means that the thyroid isn't producing enough thyroid hormones. Hashimoto's is an autoimmune disease where the body actually starts to attach the thyroid gland, thus causing hypothyroid symptoms. Since Hashimoto's is an autoimmune disease, the symptoms are fairly typical to that of hypothyroidism. There are 3 main differences (although there are more), between the two thyroid diseases. Since both diseases affect the function of the thyroid, the only way to determine if someone has Hashimoto's Disease or Hypothyroidism is by testing for a rise in thyroid antibodies. If there is a rise in Anti-TPO or Anti-thyroidglobulin, then there is a chance that Hashimoto's Disease is present. Another difference (although one that I would recommend for both Hashimoto's and Hypothyroidism) is the preference of following a gluten free diet for those that have been diagnosed with Hashimoto's. The reason is that some people may have an underlying gluten intolerance and be reducing anything that may cause further inflammation in the body, the better that your body, once appropriate treatment is started, can possibly begin to heal. 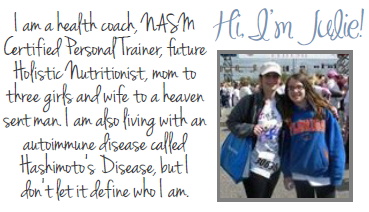 Hashimoto's is an autoimmune disease. 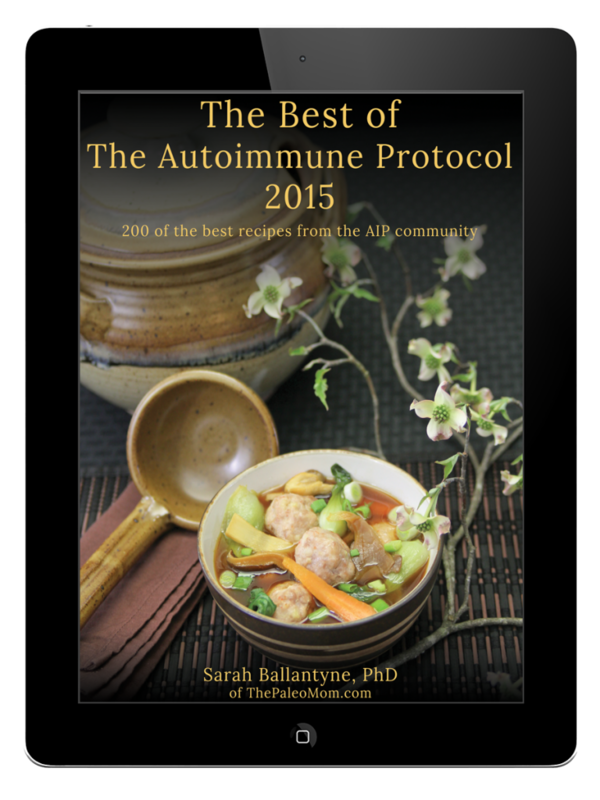 It has been found that once you have one autoimmune disease, you potentially can have other autoimmune diseases and even have higher inflammation markers on certain tests. What to do if you suspect Hypothyroidism or Hashimoto's Disease? If you suspect that you have either thyroid disease, the first step is to get proper thyroid testing. Unfortunately, most doctors will only test TSH levels for determining if you have a thyroid issue at all. The downside to this is that in order to ensure you are getting proper treatment for hypothyroidism is to have a full Thyroid Panel done. There are other Thyroid Panel tests found through different lab companies, but these ones listed above are the ones that should be tested at a minimum. For further ifnoramtion about Hyperthoroidism, please visit thyroid.about.com to find out more and to find doctor's in your area that have been known to properly diagnose and treat both Hashimoto's Disease and Hypothyroidism. A common misconception when making foods gluten-free is that they are boring or have no taste, which is totally not true. This gluten-free, dairy-free pancake recipe is always a family hit. Grease and preheat medium sized griddle or pan. In a medium mixing bowl, mix the flour, ground flax seed/flax meal, baking soda, and salt. In a second mixing bowl, mix honey, vanilla, unsweetened applesauce and milk together. Add in the wet ingredients slowly into the dry ingredients so that all the wet ingredients are incorporated and there are no lumps in the mixture. Pour 1/4 cup of the batter onto the griddle. Cook for 1 to 2 minutes or until the pancakes begin to bubble, then flip. Cook for another 1 to 2 minutes. Remove from griddle and enjoy. 2 teaspoons of cinnamon for a different flavor. Add in gluten-free chocolate chips at the end of mixing all ingredients together for that chocolaty goodness. Substitute 2 tablespoons of honey for 2 tablespoons of maple syrup or sugar. Bob's Red Mill 1:1 Gluten Free Flour was used in this recipe, but you can use any type of gluten free flour or even all-purpose baking flour if you do not want gluten-free pancakes. You can use cow's milk to substitute almond milk. Substitute one egg for ground flax seed/flax meal. 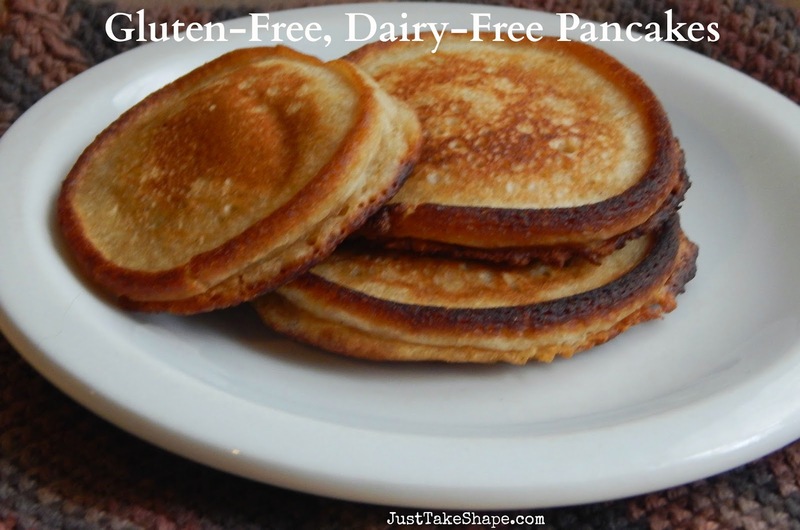 All ingredients listed are gluten-free so that these pancakes are truly gluten-free. If you are not concerned with gluten allergies or intolerances, feel free to use non-gluten free ingredients. Also, we tend to like our pancakes crispy on the outside so we use a little bit more oil in our pan to kind of "fry" the pancake. For an added bonus, make a double batch and freeze any pancakes that are leftover for those busy mornings when you don't have time to prepare anything. Just reheat in a toaster oven until warm. Ginger has been touted as a spice used for adding a little bit of warmth and flavor to meals for centuries. 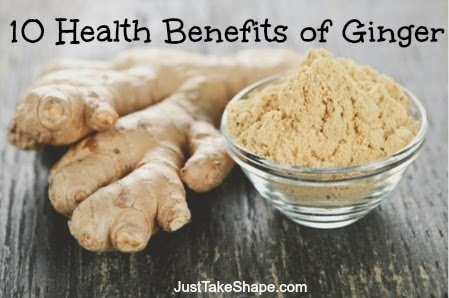 But did you know that ginger has some amazing health properties too - maybe some that you didn't even know about (I know I didn't). There are a lot of misconceptions that being "fit" means that you have to weigh a certain weight, wear a certain size of clothes and look like a model. Well, that just isn't true. If you look up the definition of "fit," one definition states that "fit" means being able to fit into a pair of jeans (no kidding, I actually saw that definition), while another definition states that "fit" means being in good health, especially because of regular physical exercise. I personally prefer the "in good health" definition since no where does this definition indicate a specific weight, body size or physical appearance, only that you are in good health. So based upon the above definitions, what does that mean? Does that mean that a person who weighs over 200 pounds can run a marathon? Does that mean that someone who is a size 20 should be proud of their body? Does it mean that a person who doesn't have a six pack wear a bikini? The number on that scale is just that - a number. The number on the tag of those jeans is just that - a number. If you take care of yourself, eat healthy, exercise regularly, get enough sleep and control the amount of stress in your life, then you are, in my opinion, the true definition of "fit." Being fit is a way of life, not a number on the scale. What do you think? 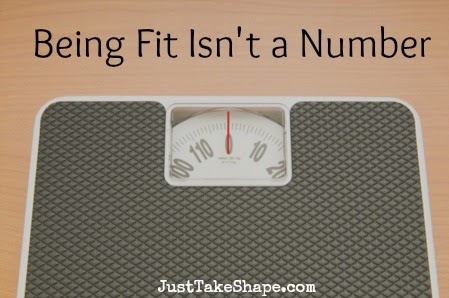 Do you think that the true definition of "fit" should be based upon the number on a scale, size of your clothes or how you look? Or should it be based on how you treat your body by working out, eating healthy, etc.? 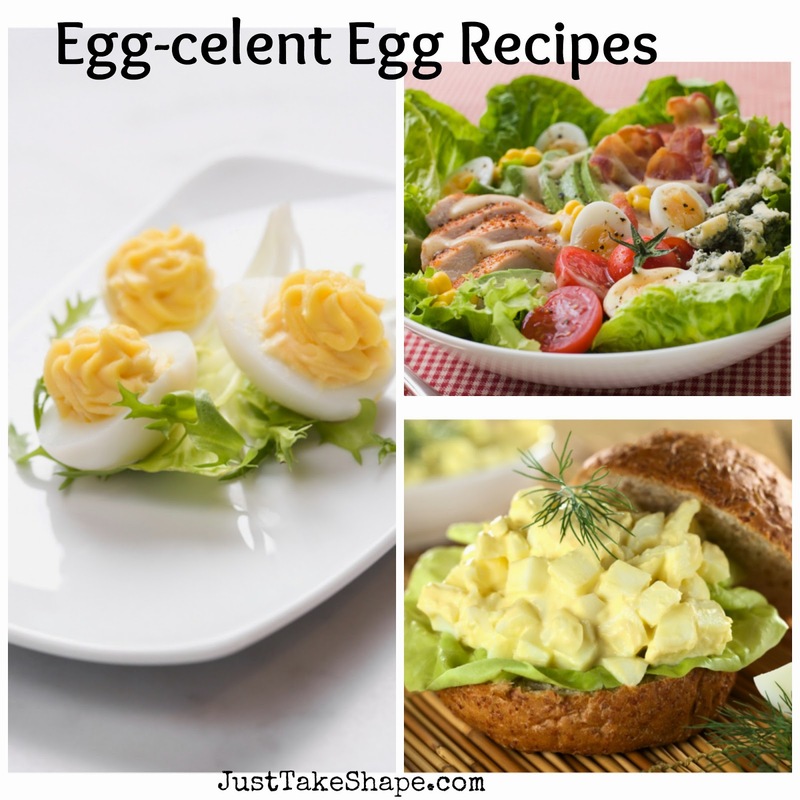 Eggs are a cheap protein and with Easter, if you are like me, you have a ton (well, not a ton, but at least 2 dozen) brightly colored Easter eggs that are now sitting in your refrigerator. So what to do with all of them? Well, you can eat them of course, but you can only eat so many hard boiled eggs until you get tired of them. 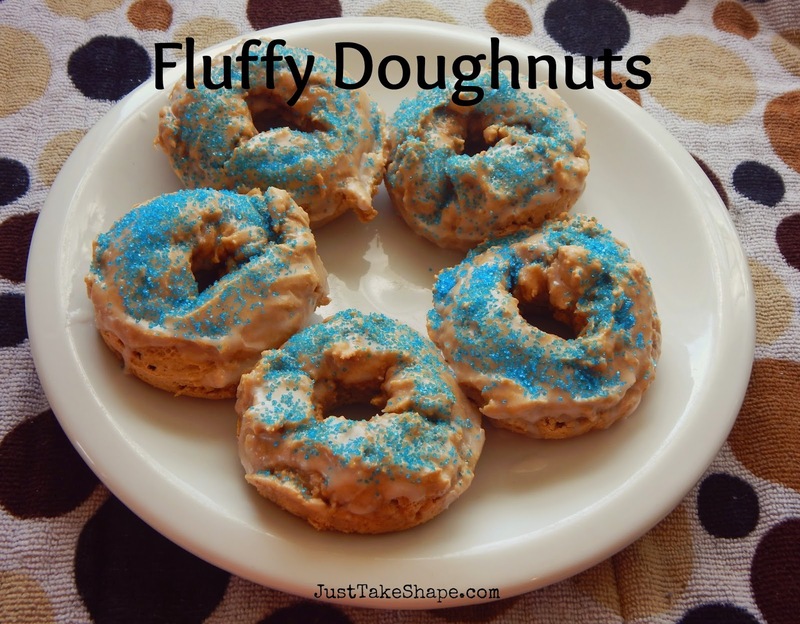 Every now and then you need a doughnut, especially on special occasions or as a cheat meal. Instead of reaching for the ones that are highly processed, from the gas station or even one of the highly known doughnut chain stores, how about making them yourself? Doughnuts are easy to make and can be made healthier (well, to a certain degree). This recipe is gluten free, dairy free and refined sugar free (when made with coconut sugar instead of white sugar) and will make approximately 11-12 doughnuts. It seems like Bulletproof Coffee is all the rage right now, not only in the world of Paleo, but it is even becoming more mainstream. For those that have not heard of Bulletproof Coffee, just wait, it is only a matter of time before you can find it in your grocery's coffee aisle. 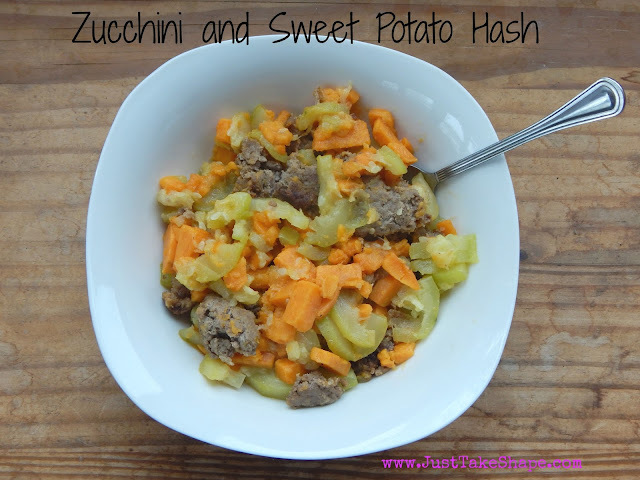 Mix in a blender and enjoy. While it may seem to some without having Bulletproof Coffee that it seems like a whole lot of fat added to coffee. Well, basically it is, but the fat that is added is good for you fat. However, despite the healthy aspects of this new trend, there are also bad aspects to it as well. 1. Adds good fats to your diet. The addition of grass-fed butter and MCT oil is a great way to increase your healthy fat intake, particularly Saturate fat, which is key to those that are following the Keto way of eating or other high fat plans. For those that need a caffeine fix or want to boost their metabolism, drinking Bulletproof Coffee will do just that. When you are following a low carb or Keto way of eating, boosting your metabolism will, in turn, help to burn fat, thus resulting in weight loss. Bulletproof Coffee is typically used as a meal replacement, particularly breakfast. This is a bonus for those that are running out the door and need a "grab and go" type of energy boost. The amount of fat that is in Bulletproof Coffee will also help you to feel fuller longer. 1. Possibly Too Much Saturated Fat Intake. Even though the inc;rease of fat, in particularly saturated fat, is, to a certain extent, good for you, the amount of saturate fat that you consume, plus the amount that is in Bulletproof Coffee, can exceed the limit of what you intake daily. 2. Possible Elevated Cholesterol Levels. There have been some studies that show that the consumption of Bulletproof Coffee has increased cholesterol levels, particularly the triglyceride levels. This increase can be unsafe for those that have been directed by their doctors to lower their cholesterol levels. So as you can see, the nutritional content of Bulletproof Coffee is extremely low in terms of the nutritional value of a healthy breakfast consisting of something similar to eggs and bacon. Are You Going to Try Bulletproof Coffee? Given just some of the good and bad aspects of Bulletproof Coffee, there is possibly more good than bad in terms of those that should be drinking it - particularly those that are following a Keto way of eating, as it may cause an increase in weight loss (which who doesn't want that?). However, I also believe that it is up to each individual to chose if Bulletproof Coffee should be a part of your way of eating. If you have tried or currently drink Bulletproof Coffee, what are your thoughts and has it helped you in any way? Your back is an important part of your body that needs to remain strong and healthy for you to do even the most simplest of movements. If you have ever hurt your back or even pulled a back muscle, you know all too well how painful and hard it is to even walk or sit. Strengthening your entire back and your abs (abs help to stabilize your your back muscles and spine to a certain degree) are essential to ensuring that you will have enough strength to lift a box, pick up your child or even just walking without pulling your back out. Try this back exercises circuit, that you can do without weights, to help you strengthen your back. As with any exercise, if you feel pain - STOP. Do not push yourself to the point where you hurt yourself, and always consult your physician before doing any type of exercise. The sphinx is great for strengthening the upper back. It is performed in a manner that is similar to the push up, but is done while the lower back and legs are kept on the floor. To ensure that this move is done correctly, always make sure that the lower back is kept on the floor so that you do not cause any unnecessary stress on the lower back. The superman exercise is a great exercise for the lower back. For beginners, you can start with lifting the legs only and then adding the lifting of the upper body as you advance in strength. This exercise can also be modified by alternating lifting each leg with the alternating arm. Experiment with different modifications the stronger you get. The reach is a great exercise for not only the back, but also the glutes, hamstrings and shoulders. While this move can be difficult to perfect for beginners, it does require using some balance in order to be able to lift the alternating leg and arm. By strengthening your back and adding in ab exercises, you will be able to do this move without leaning to one side or falling over. This move is also a prime example of how not only the back muscles by ab muscles are necessary for balance. As you can see working back muscles at home is quite easy, requires no equipment and is just as effective as working out with machines at the gym. Do each exercise for 10 reps for 3-4 sets to develop a strong, healthy back. Which exercise are you going to add to your workout regime? 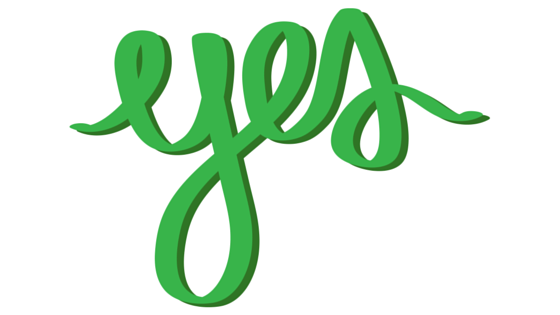 Today marks the first day as a blogger that I am participating in something that is not only interesting, but will (hopefully) help me to grow as a writer and blogger. Today is day 1 of the A to Z Blogging Challenge where bloggers from all over the world will write write a post based upon a new letter of the alphabet daily, starting at A. So for today's topic, I chose to discuss the health benefits of apples. 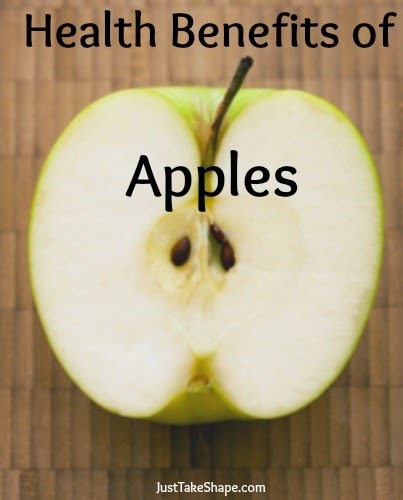 Now you may know some of the important health benefits of eating an apple, such as the old wives' tale of keeping the doctor away, healthy snack and is relatively a good source of fiber (provided you keep eat the peel). But why?